If you are a skilled craftsman or cabinetmaker, we want to hear from you. Drafter for Commercial Interior will work as part of our design team. In this role, the drafter will create clear, complete and accurately finished drawings from rough or detailed information, sketches or layout drawings for production and installation of commercial interior fixtures. This individual should be innovative, creative and work as a team player to ensure high-quality service and design for the client (internal & external). Brunel Commercial Interiors Inc. – Our well-run, clean, efficient facility is presently utilizing 23,000 sq. ft of space and provides opportunity and growth for our innovative staff. Brunel is a progressive company utilizing new technology and advanced techniques to design and build the latest in commercial millwork. We achieve our goals using the newest in woodworking machinery to augment the skills of our professional team of Cabinet Makers. We strive to be the best in our business by providing solutions for our customers and supporting our staff through effective communication and training. Our teams work closely together to create custom fixtures and bring ideas together from sketch to install. Conceive creative concepts in response to client needs, translating such ideas into visual formats using AutoCAD. Develop and prepare engineering designs and drawings from preliminary concepts. Comprehensive documentation package and produce drawing sets. Check and verify design drawings are conform to expectations and design data. Work collaboratively with various departments and team members. Undertake market research as required. Identify and offer solutions to complex design challenges as they present themselves. Develop and deliver design solution presentations that effectively communicate visual concepts. Demonstrated expert knowledge and proficiency with AutoCAD. Excellent design and conceptual skills as evidenced in a personal portfolio. Ability to quickly absorb and use company-specific techniques, standards, and procedures. Passionate, self-motivated individual with the ability to work independently and collaboratively as part of a team. Demonstrated innovative and creative thinker. Must be able to work on multiple projects simultaneously with a demonstrated ability to excel in a fast-paced environment. Demonstrated effective deadline management and project management skills. Strong interpersonal skills required to communicate with a broad range of individuals including key members of design teams, various stakeholders and clientele. Ability to analyze and interpret user requirements. Solid design and conceptual skills. If you are interested in applying, please forward a cover letter with your resume to careers@brunel.ca or fax your information to (403) 243-9785. 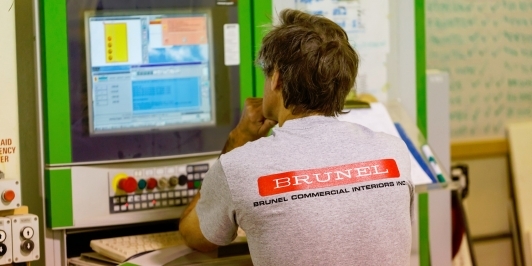 Brunel Commercial Interiors Inc. – Our well-run, clean, efficient facility is presently utilizing 23,000 sq ft of space and provides opportunity and growth for our innovative staff. 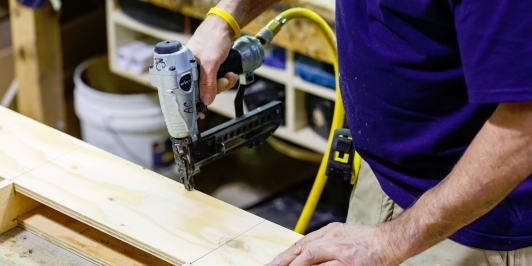 Provide full training for a cabinetmaker apprentice. Opportunity to build a career and earn a consistent steady income. All levels of experience required. Positive attitude, energetic and good communications skills. Ability to work in a team environment with a strong work ethic. 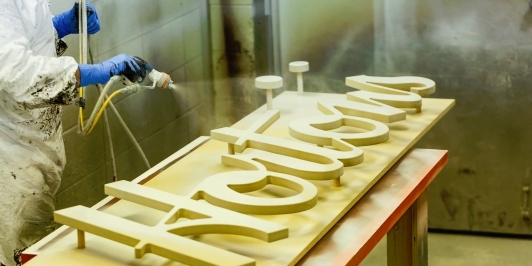 The desire to produce a high-quality custom product. Ability to build and assemble in a range of materials including stainless steel, glass, solid surfaces as well as more traditional wood and laminates. Read and interpret blueprints, drawings and specifications. Our shop is located in SE Calgary Alberta. Brunel Commercial Interiors Inc. – Our well run, clean, efficient facility is presently utilizing 23,000 sq. ft. of space and provides opportunity and growth for over 30 staff. We strive to be the best in our business by providing solutions for our customers and supporting our staff through effective communication and training. Stainless steel equipment, custom sheet metal items & decorative metal sheets. Metal cabinets, custom built tables, counters and fixtures for a hospital, kitchen equipment, soup wells & liners and various other items for the food services and beverage industry. 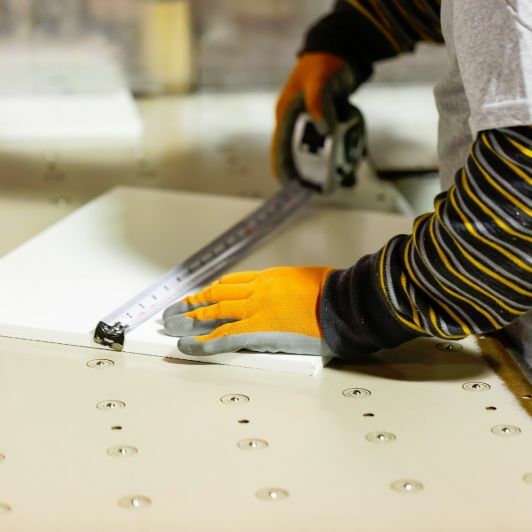 Lay out, measure and mark dimensions and reference lines on sheet metal according to drawings or templates. 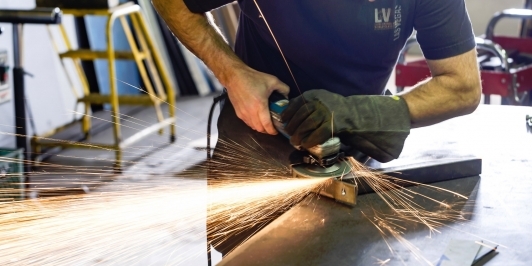 Use laser or plasma cutting equipment, numerically-controlled or computerized equipment, hand and power shears and snips and light metal-working equipment to cut, drill or punch, bend and shape sheet metal. The ideal candidate would have experience in working with Mig, Tig and tack welding, as well as possess sheet metal fabricating skills. If you are interested in applying, please forward a cover letter with your resume to: Careers@Brunel.ca or fax your information to: (403) 243-9785. We thank all applicants in advance for their interest; however, only those selected for an interview will be contacted.